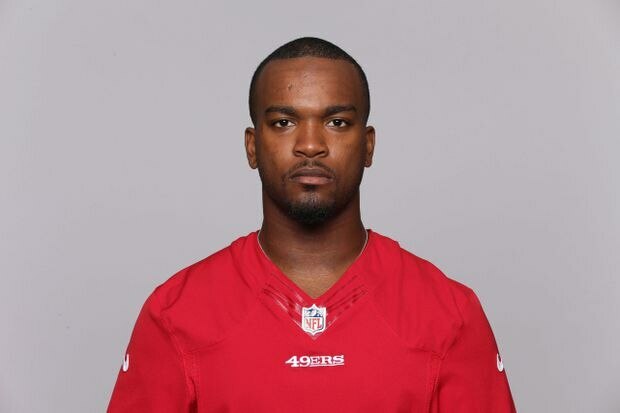 Mylan Hicks in 2015 when he was with the San Francisco 49ers in the NFL. (File Photo). The family of a pro football player gunned down outside a Calgary bar has filed a lawsuit against the nightclub and its staff alleging they let a disagreement over a spilled drink escalate into a shooting. Mylan Hicks, a 23-year-old player from Detroit who was on the Calgary Stampeders’ practice roster, was shot and killed outside the Marquee Beer Market on Sept. 25, 2016. “Marquee essentially has a duty of care to ensure that all of the patrons that visit their premises are reasonably safe for the reasons that they’re there,” said Calgary lawyer Petrina Wallebeck, who filed the lawsuit on behalf of Mr. Hicks’s estate as well as his mother Renee Fowkles-Hill and father Reggie Hill in Detroit. The murder trial heard that several players, including Mr. Hicks, were celebrating a victory over Winnipeg in a Canadian Football League game hours earlier. A disagreement inside the bar over a spilled drink intensified in the parking lot after closing time. Witnesses testified that after some pushing and shoving, an individual appeared holding a handgun and opened fire at Mr. Hicks, who was hit in the abdomen and chest, and died later in hospital. Ms. Wallebeck said the family is asking for the maximum allowed under Alberta legislation – about $82,000 in bereavement damages. “It’s certainly not a monetary windfall. It’s more holding all parties that had responsibility for this event accountable,” Ms. Wallebeck said. Ms. Wallebeck said it’s important to Mr. Hicks’s family that he didn’t die in vain. “The parents essentially were fine with him coming here and basically lent us that talent and this young man lost his life.” she said.